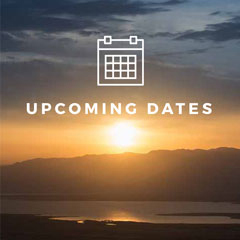 Israel Outdoors > Choose Your Trip > Specialty Trips > Yes You Can! 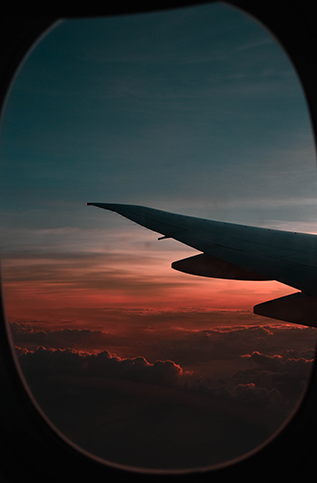 Have you ever wondered if you’d be able to confidently claim your Birthright Israel gift as a traveler with inflammatory bowel disease (Crohn's/Colitis), irritable bowel syndrome or non-Celiac gluten sensitivities? 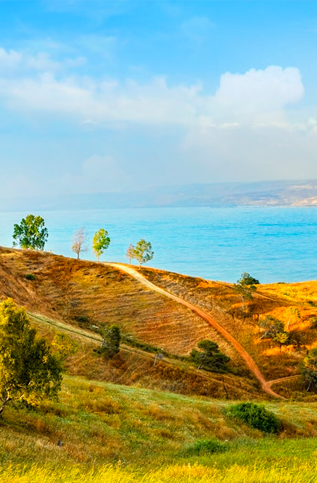 With Israel Outdoors, the answer is...yes, you really can, and you can go this summer! 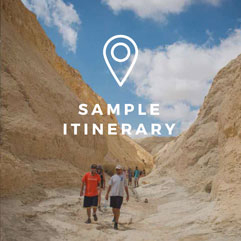 Plus, you'll have an amazing opportunity to travel side-by-side with Israeli peers who share similar backgrounds during the fun and energizing mifgash portion of the trip. With "Yes You Can," you will have the full support and understanding of our staff. 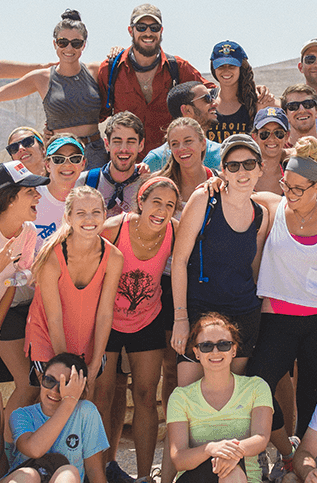 This is a journey of adventure, friendship, and memories with all the eye-opening perspectives and essential adventures of a classic Birthright Israel trip with Israel Outdoors. Got more questions? Check out our FAQ's for "Yes You Can!" 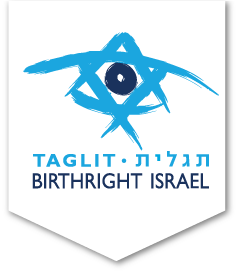 You’ll be taken to the Birthright Israel website to register. 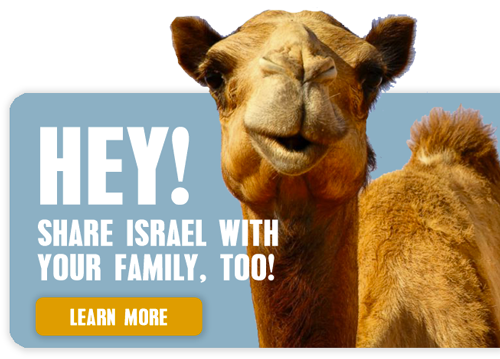 Don’t forget to select “Israel Outdoors” as your trip organizer! Wander through the mystical city of Tzfat walking the cobblestone streets and alleys of this quaint town. After a packed lunch, you’ll meet with artist David Friedman and then return to the hotel to absorb the musical stylings of Israeli musician Gilad Vital. 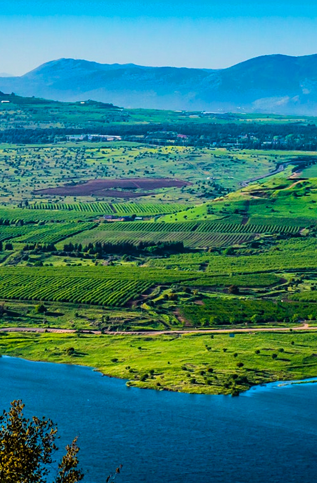 Ascend the beautiful Golan Heights to Gadot Lookout for new perspectives at this old Syrian outpost. Enjoy lunch and then check out the amazing views from Mt. Bental. 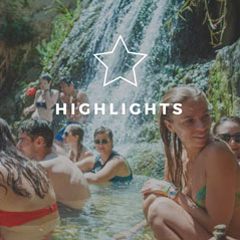 Relax as you peacefully cool down while rafting the Jordan River before you travel south to Tel Aviv. 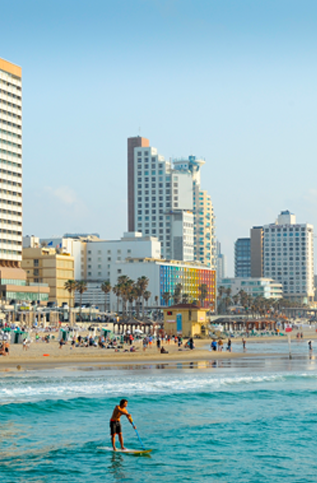 After this day of sweeping vistas, you’ll get an evening on your own in the dynamic and energetic metropolis of Tel Aviv. Here in one of the most fascinating cities in the world, you’ll meet your Israeli peers and get to understand life in Israel from the perspective of a local living with IBD and GF. You’ll explore the roots of the Israeli state from a pluralistic and diverse perspective at the Rabin Square Memorial and Independence Hall, and eat at the Carmel Market. No trip to Tel Aviv is complete without beach time relaxing in the Mediterranean before heading to Jerusalem to learn about Gift of Life, a life-saving program helping those with cancer. Before the calm of Shabbat settles over Jerusalem, you’ll explore the colorful and fascinating Machane Yehuda open-air market. From there, you’ll head to the iconic sites of the Jewish Quarter, exploring the Rampart Walls, rooftops, corridors, and squares of this ancient neighborhood. At the Western Wall, you’ll have time for reflection, introspection, and exploration in these hours before Shabbat. Then head to the hotel for a festive Shabbat dinner and celebration. Morning gets off to quiet and re-energizing start. 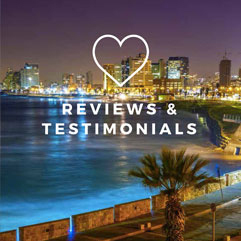 You may choose to join optional tours of neighborhood synagogues, before you join the group for a neighborhood walking tour and visit to the fascinating Israel Museum. 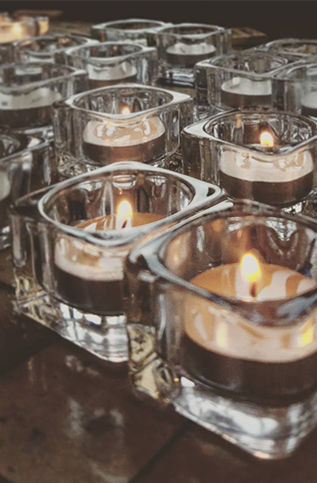 End Shabbat with a Havdallah ceremony to mark the start of the new week. 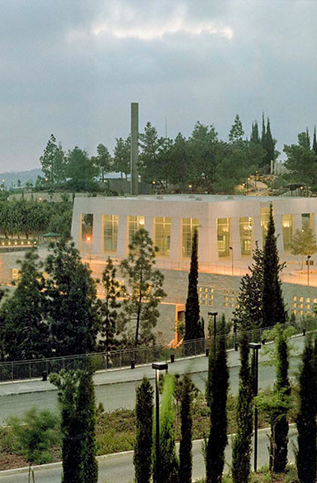 Today you’ll confront anti-Semitism and the legacy and tragedy of the Holocaust at Yad Vashem, the World Holocaust Remembrance Center. 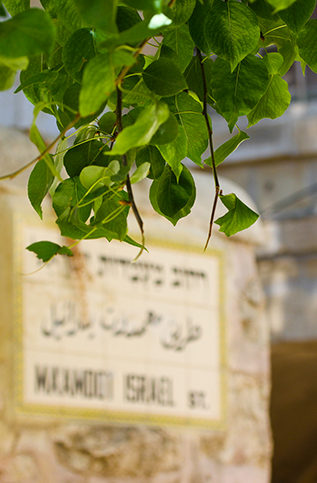 After a sobering and eye-opening visit, you’ll then move to honor Israel’s national leaders and fallen soldiers at Mt. Herzl National Cemetery. And now it’s time to head back into the natural wonders of Israel and head south to the Ein Gedi Nature Reserve. You’ll grab a snack in the morning and then head off to the Herod’s awe-inspiring mountaintop fortress of Masada via the cable cars. Explore the stark and beautiful remains of this ancient site of rebellion and descend back down for breakfast. No trip to Israel is complete with a chance to float in the Dead Sea. 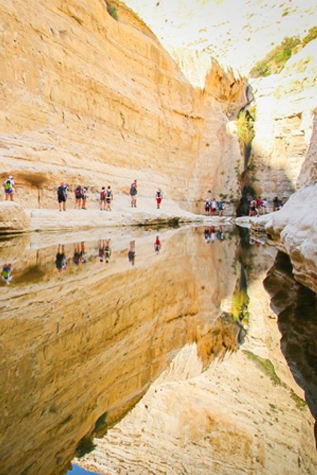 Then we’ll enjoy a short nature walk to the beautiful desert waterfalls at Ein Gedi National Park. 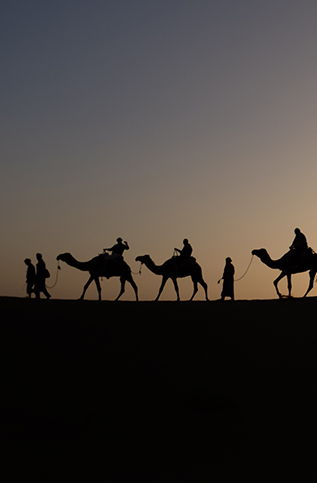 The day has finally come – get your camera and best puns ready as you head to Chan Hashayot Bedouin to ride a camel. At the desert outpost of Sde Boker, you’ll learn about David Ben Gurion, Israel’s first prime minister, and his vision for modern Israel. Then you’ll see some of that vision come to life at Shvil Hasalat, “The Salad Trail, an incredible desert farm. Israel still has more to offer… so we’ve still got a day with programming and learning. First you’ll work with Save a Child’s Heart, an exceptional organization based in Israel that provides life-saving heart surgery and care for children around the world. You’ll still be inspired and uplifted as your tap into the spirit of innovative which drives Israel at the Taglit Innovation Center. 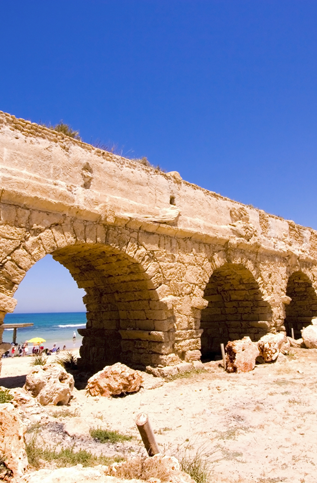 You’ll then explore Jaffa, an ancient and beautiful port city of nestled into the curve of the Mediterranean before your last group dinner together. Now it’s time to fly back home after 10 amazing days with Israel Outdoors. 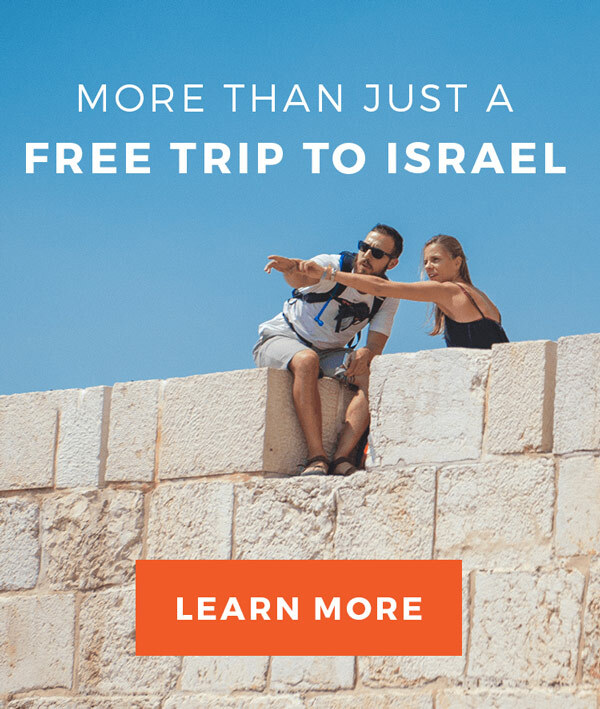 During your time in Israel, you’ve been challenged by new ideas, discovered an extraordinary culture, and are returning home with a renewed understanding of your history.